In 1992, scientists found that oral contraceptives were highly associated with a reduced risk of ovarian cancer. 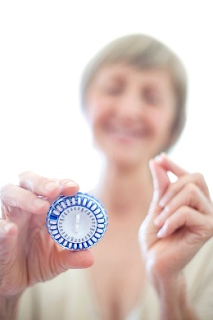 And, the longer a woman used oral contraceptives, the lower her chances of developing ovarian cancer in her lifetime. Marla Ahlgrimm reports that women who took birth-control for a period of five years had a 50% reduced risk of developing ovarian cancer. However, women with one of two specific gene mutations, BRCA1 or BRCA2, who also used oral contraceptives were found to be at an increased risk of ovarian cancer. Marla Ahlgrimm concludes by citing that oral contraceptives, along with other hormone-altering treatments, are not without risk. It is up to each individual woman and her healthcare provider to weigh the rewards against possible complications.